Unlimited websites, full set of templates, no expiration, everything included. Priced from just $29.95, Easy Button & Menu Maker is the best choice. 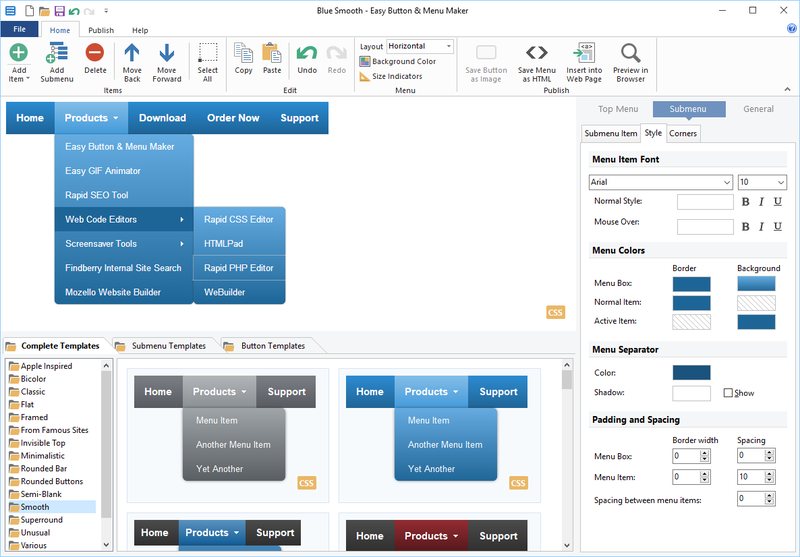 You get two great tools in a single package - menu maker and button maker.